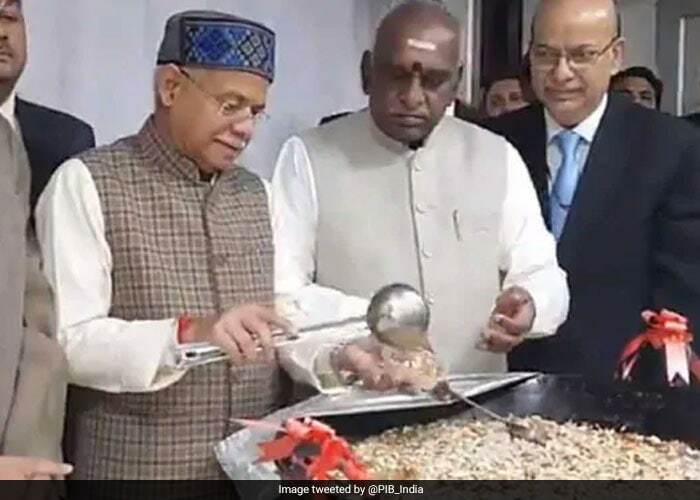 In this picture, Union ministers Shiv Pratap Shukla and Pon Radhakrishnan are seen unwrapping the halwa at the Budget Press. 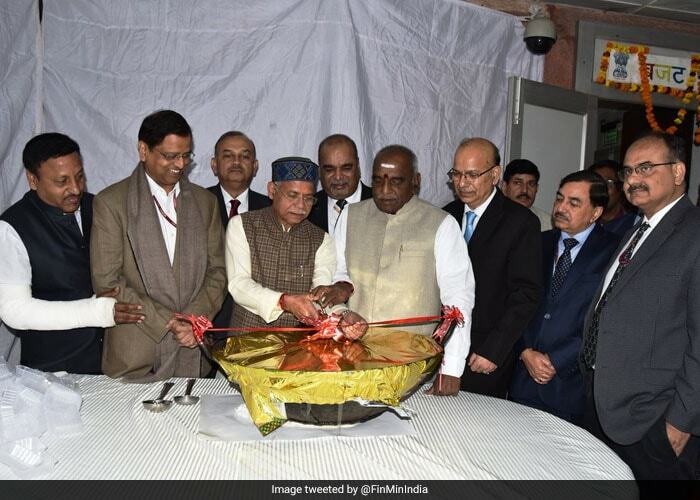 The ministers, Mr Shukla and Mr Radhakrishnan, jointly launched the halwa ceremony on January 21, 2019. 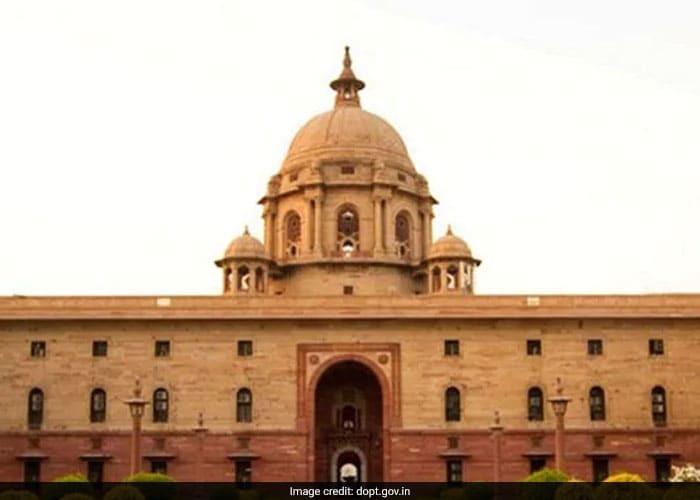 Finance Secretary A N Jha, Economic Affairs Secretary Subhash Chandra Garg, Revenue Secretary Ajay Bhushan Pandey, DIPAM Secretary Atanu Chakraborty and Financial Services Secretary Rajiv Kumar were also in attendance. 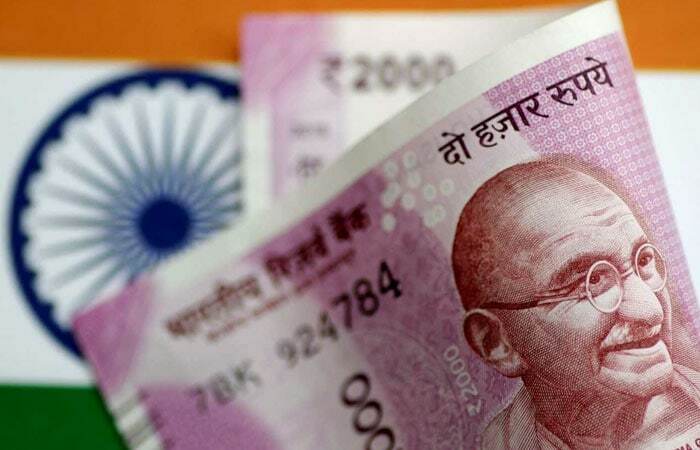 Once the budget ceremony takes place, the finance ministry officials are not allowed to contact their near and dear ones through phone or any other form of communication till the presentation of budget in Parliament. Only very senior officials in the finance ministry are permitted to go home during this period. The halwa ceremony is usually launched by the finance minister. However, Finance Minister Arun Jaitley could not attend the ceremony in 2019 due to his visit to the US for a medical check-up. 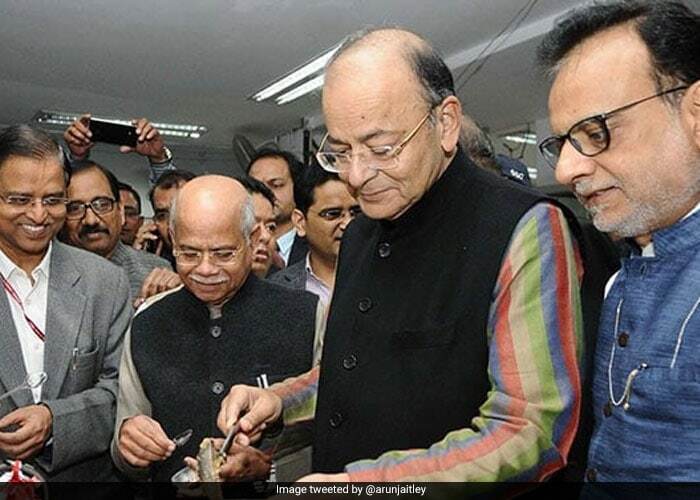 In past five budgets, the halwa ceremony was launched by Mr Jaitley. 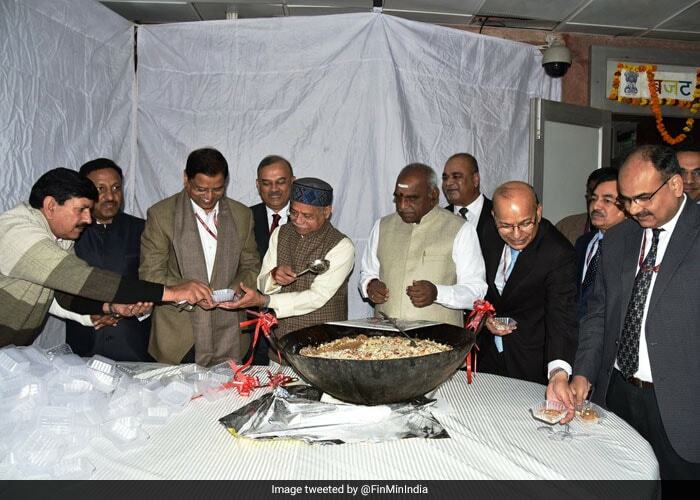 In this picture, Mr Jaitley is seen attending the halwa ceremony event in 2018. The presentation of interim budget by the government in Parliament on February 1 will mark its last before a general election due by May. February 1's interim budget will be followed by a final Budget for fiscal year 2019-20 by the new government after elections.